Epiance is a pioneer in performance support software, and our EPSS is deployed across the best run companies in the world. EPSS provides contextual, just-in-time, electronic performance support to users of applications such as SAP, Oracle ERP, IFS, Infor, Epicor, and other ERP products as well to users of the widest range of other application software – both packaged and internally custom developed. EPSS enables businesses to deliver a wide range of knowledge objects – simulations, audio and video files, html and word documents, amongst others, contextualised specifically to each step of a process being executed, enabling user access to these knowledge objects at the click of a button to help complete the execution of any business process quickly, efficiently, accurately and in compliance with best practices. This enables companies to dramatically bring down help desk requests, increase employee productivity, improve competency levels and minimise disruptions arising from IT transformations. Significantly improve user productivity and reduce help desk request volumes by enabling electronic delivery of support to users of IT applications. Facilitate uninterrupted and best practice compliant business process execution. EPSS Workspace provides an efficient and contextual means of disseminating SME knowledge, process validation, application changes, policies and compliance's to large end user population with minimal effort. Information in the form of text and multimedia content can be linked to each field (control) in the application screens using rich callouts (workspace notes). 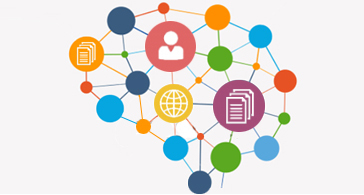 Deliver multiple types of knowledge objects – simulations, documents, audio and video amongst others, to deliver contextual knowledge in multiple languages. Collaborate asynchronously with author content. Obtain automatic alerts and integrate legacy content. Push information on policy or process changes automatically to end users within the context of executing a specific business process. EPSS uses a context map to deliver contextual knowledge to users of the EPSS enabled application. The context map is a structure that contains several identifying aspects of the enabled application such as control names, fields, etc. These context maps can be created quickly and easily by a user who is familiar with the application that is being integrated with EPSS. Relevant content is subsequently associated with the context map thereby forming the context framework. When EPSS is initiated by an end user who is in need of performance support to complete a process, the application recognizes the context of the process the user is executing. EPSS then delivers all relevant knowledge content associated with the specific context to help the user complete the process issue. 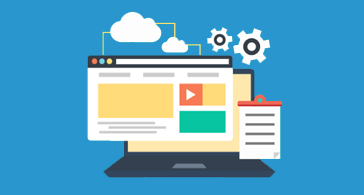 This content could be in the form of simulations, documents, audio-video files, html content or even cue cards, aiding the user just in time and within the specific context. 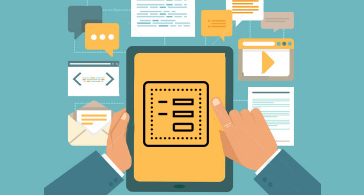 Push content related to changes in policies or business processes automatically to end users, in a highly contextualised manner, when they are executing the multiple steps of a specific process. Largest missionary hospital in Southeast Texas saves more than 80% cost in Professional services and Training. Reducing complexity of a product or application using Stratification.